A highlight of every conference is the induction of women into WAI’s International Pioneer Hall of Fame. This year’s inductees include: Bonnie Tiburzi Caputo, the first woman hired by a major airline as a member of the cockpit crew whose American Airlines uniform is on display at the Smithsonian Air & Space Museum; Kathleen Fox whose career in air traffic control in Canada led to senior positions with Nav Canada and today she serves as chair of the Transportation Safety Board of Canada; and Brigadier General Linda K. McTague whose 28-year career with the United States Air Force culminated in an assignment as the commander of the District of Columbia Air National Guard. At the membership meeting, Marcie Veronie of Avemco was named as the new chair of WAI’s board of directors and three board members (Abingdon Mullins, Deborah Hecker, and Brian Bolt) were re-elected and Michaela Lucas was elected as a new board member. Visits to the active exhibit hall were interspersed with general sessions on Friday and Saturday mornings, with dozens of educational sessions held both afternoons. 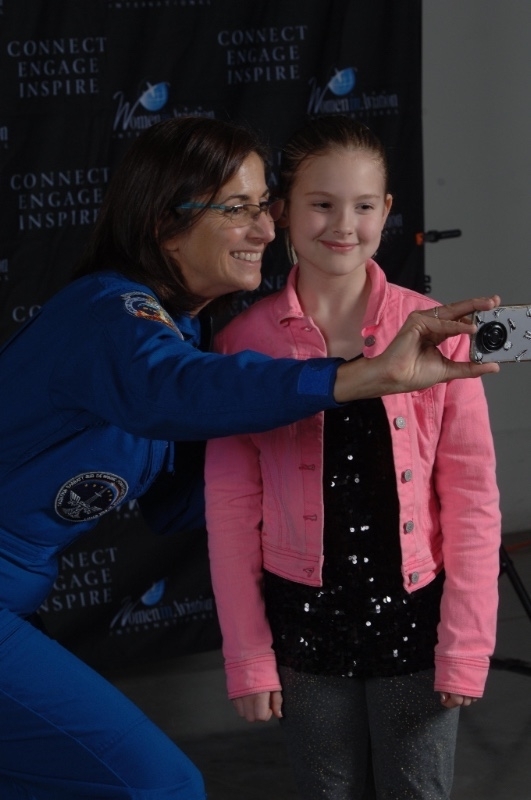 WAI continued its successful youth outreach with Girls in Aviation Day Reno, where over 200 local girls, including Girl Scouts, were introduced to the possibilities of an aviation career though fun activities, meeting role models, and touring the exhibit hall. The girls were inspired by a diverse career panel and the luncheon speaker, Shaesta Waiz, the first civilian female pilot from Afghanistan who in 2017 completed a solo flight around the world. Older girls met with representatives from aviation colleges and universities. This important youth outreach will continue with WAI’s international Girls in Aviation Day on October 13, 2018, where WAI’s network of local chapters will plan and execute their own unique events for girls 8 to 17 years old. A total attendance of 3,200 included 114 international representatives from 21 countries. The exhibit hall hosted 162 separate companies and organizations, representing all aspects of the aviation community, including drones. 142 scholarships were distributed to WAI members at every stage of life from for both academic use, lifestyle enhancement, and flight training, including type ratings. A total of $695,500 in scholarships was awarded, which put the total scholarships awarded since 1995 to $11,495,581. The 30th Annual International Women in Aviation Conference will be held March 14-16, 2019, at Long Beach Convention Center in Long Beach, California.